I am an evidential psychic medium trained and certified. I have trained with some of the worlds’ best mediums of our time. I grew up on Long Island and relocated to the treasure coast of Florida. Allow me the honor of connecting you to your loved ones in spirit AND provide guidance for you on your journey. I offer an array of psychic and energy healing services such as readings and mediumship to theta and reiki energy healing for body, mind, and spirit. I am available for private readings, group sessions, phone readings, workshops, and classes. To schedule an appointment, or to find out about classes and events in your area please contact me at: 772-200-0016. Before you seek a psychic or medium’s help, try to relax. Take five deep breaths with slow exhales to calm your mind and release any tensions in your body. Relaxing creates a better atmosphere for your reading and makes it easier for Spirit to make contact. You may have heard the phrase "You are Never Really Alone" well this is proving that statement ! 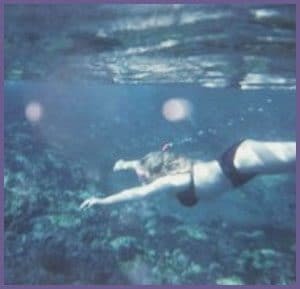 This photo was taken with a cheap disposable underwater camera capturing Orbs or Spirit Energy actually following me while I snorkeled in Hawaii many years ago. While this is a copy of an old photo, it is hard to see the many dozens of orbs present in the original. 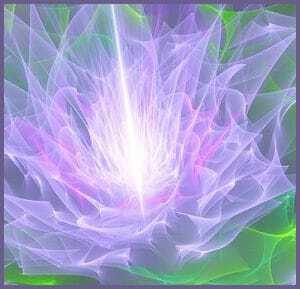 The Chakra system are energy vortexes located along your spine. They coordinate with root ganglion of the CNS. There are different internal organs that are affected by their energy levels. When your chakras are balanced they help to keep you healthy, happy and at your best. Get my FREE book on energy healing! Please enter your information below to receive my FREE eBook and be notified of events and discounts! Copyright © 2019 Tess Tetrault. All Rights Reserved.